please fill out the printable order form below. April 1 Epson final proof of the book showing the signature layout. This 544 page book contains both color and black & white photos and images. 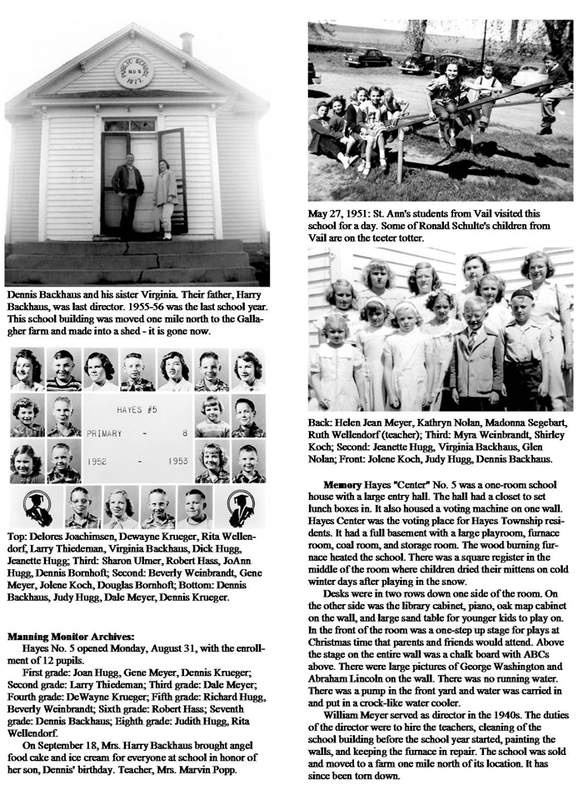 It is a true historical book which contains information older than what was even in the 1981 Manning Centennial history book with 1874 as some of earliest country school information recorded for this area. 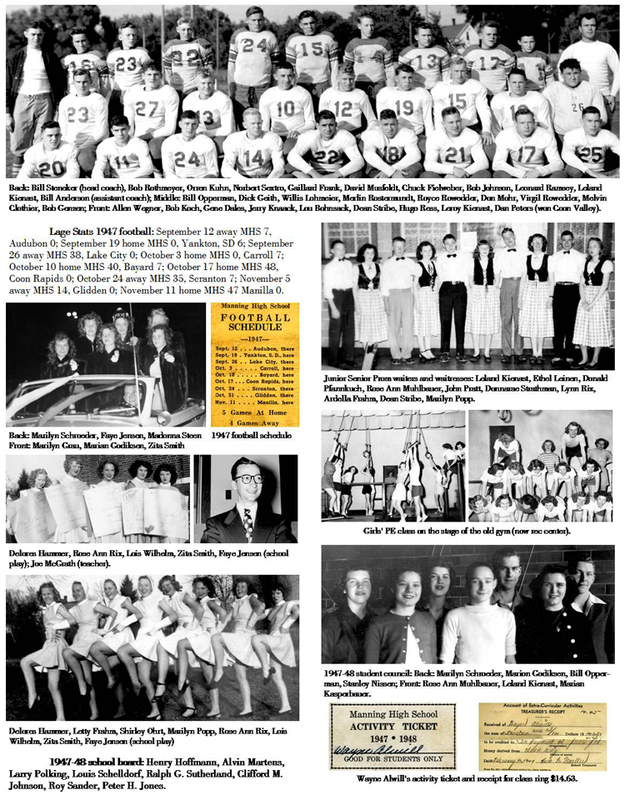 4 pages of the Manning school history book. 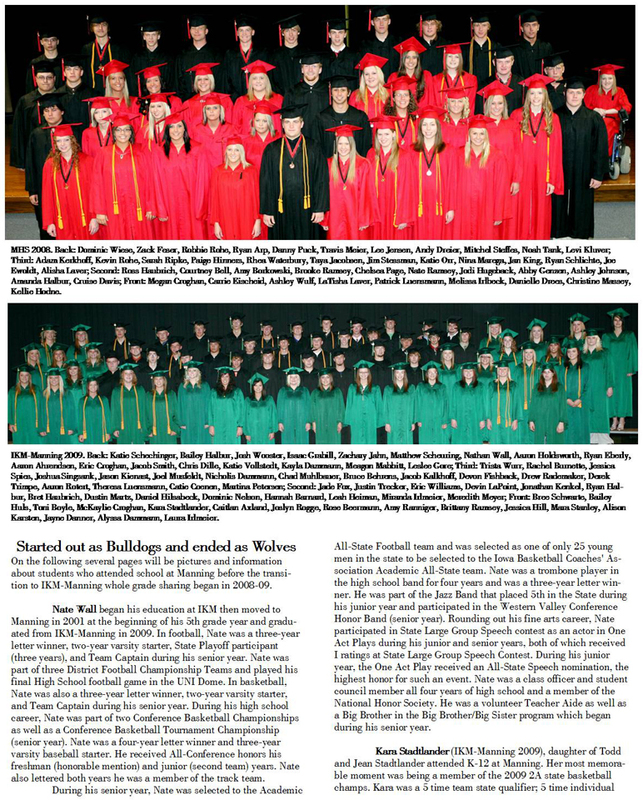 NOTE: Not intended to be legible but just to show a sampling. Images and text will be clear in the history book. 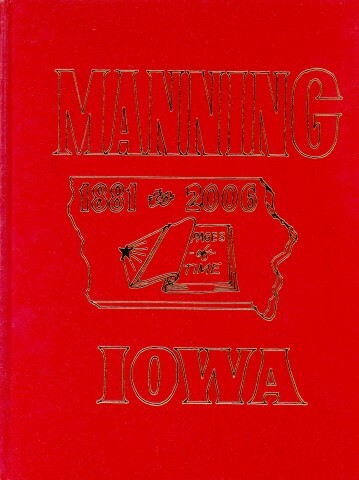 This 2006 Manning Quasquicentennial history book is an update to the 1981 Manning Centennial History Book. 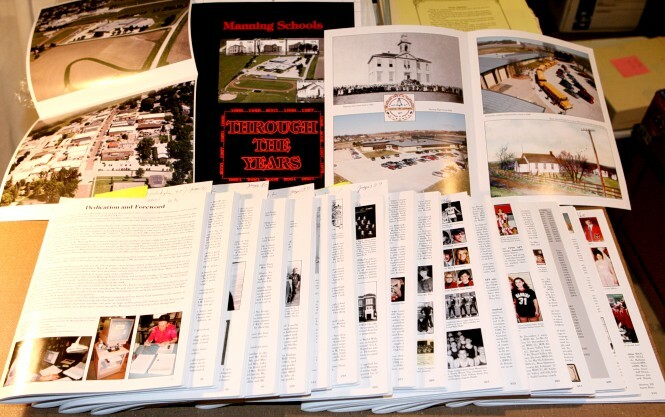 There are approximately 20 pages on city government, 11 pages on churches, 60 pages on the Manning school and Manning sports, 30 pages on entertainment & service organizations, 40 pages on Manning Veterans, 70 pages on Manning businesses, 10 pages showing the business layout and history of each building on Main Street, 10 pages on agriculture, over 200 pages on Manning's families, with the balance of pages composed of 100 year old Manning Monitor excerpts, random pictures, Manning nicknames, and advertisements. This 480 page history book is sewn bound with a hard cover and has excellent quality paper to give the best print for text and image quality for pictures. Many books of this quality would cost $60 to $100 but now the extra copies are on sale for $20 plus shipping. 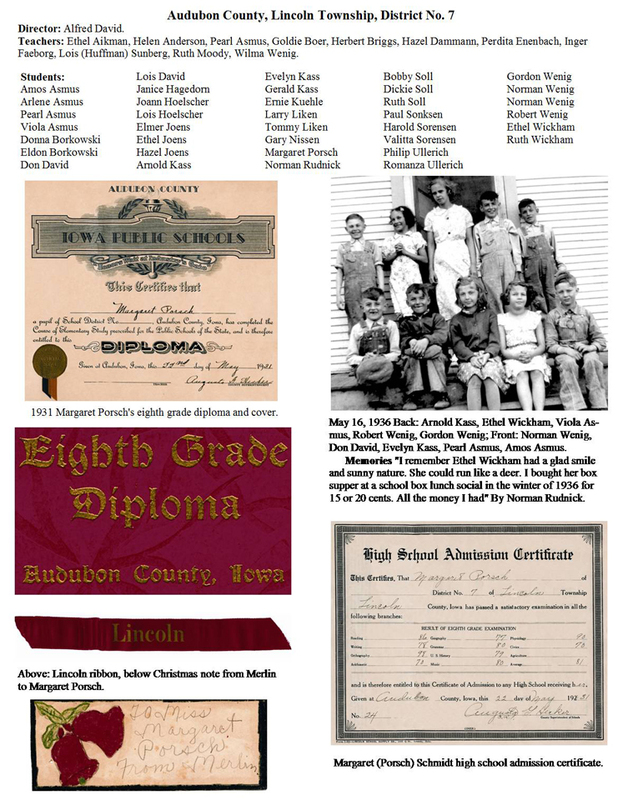 Nearly 100 volunteers worked on this history book project which was started before 2000. 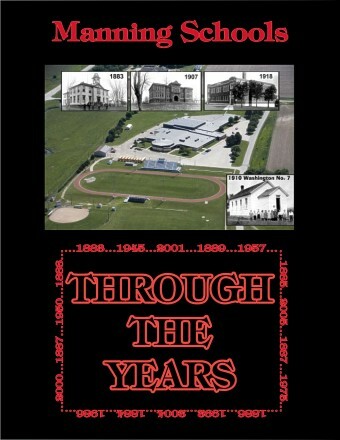 If you visit Manning you can purchase this Quasqui history book for $20 at either the Manning Heritage Park Gift Shop or the Manning City Library. 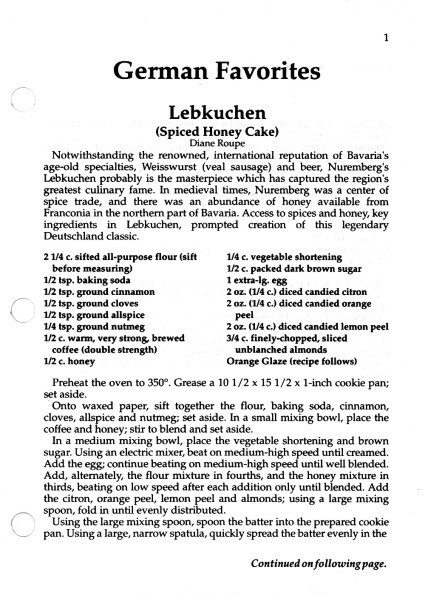 mostly of a German background but of other cultures too.